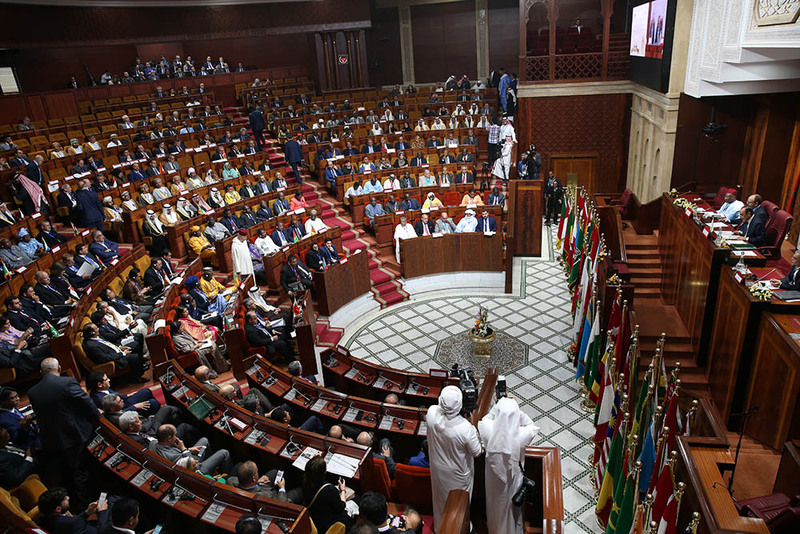 The 14th Conference of the Parliamentary Union of the OIC Member (OIC) and the meetings of the committees and committees of the Union were held at the Parliament House in Rabat between 11 and 14 March 2019. 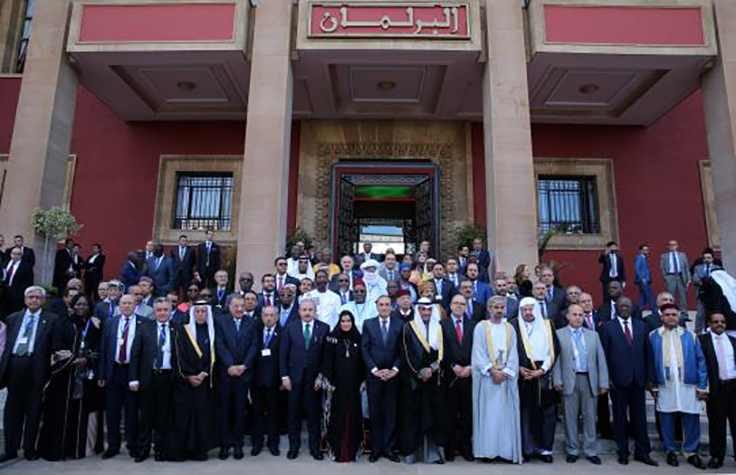 We, Speakers of Parliaments and Heads and Members of Delegations of the Parliamentary Union of the OIC Member States (PUIC) assembled on 4, 5, 6, and 7 of Rajab 1440 H.C., corresponding to 11, 12, 13, and 14 March 2019 G.C. in Rabat, the capital of the Kingdom of Morocco.  Reiterating our commitment to the fundamental principles of the particularly the principles of (a) non-interference in the internal affairs of other states, (b) respect for the territorial integrity and sovereignty of other states (c) resolution of conflicts through peaceful means and dialogue.  Re-asserting our determination to continue our positive and efficient contribution to the improvement of the work of the United Nation and its Specialized Agencies, particularly in such domains as concern the establishment of world peace and regional security; observance of human rights, and respect for the sovereignty of states and their territorial integrity.  Stressing the importance of democracy and institution-based State in the process of development and safeguarding human rights and guaranteeing their respect, and emphasizing the role of our Parliaments in consolidating such rights, facilitating people’s political participation in such a way as to ensure stability and social cohesion, and building people’s trust in the institutions of their respective countries, by allowing them to take ownership of this building process through involving them in the decision-making and governance of public policies, through their elected representatives. 1. We stress the vital importance of democracy, State of institutions, and the respect and safeguard of human rights in the advancement of societies, their development, and their stability. This is because these constitute an ultimate universal goal, a social requirement, and an objective to be achieved through accumulated experience, reforms, involvement of different groups and components of societies in political life, and through ensuring an enhanced and effective political participation of women and youth. Recalling the historical and spiritual value of Al-Quds for Muslim peoples, condemning the settlements and violations carried out by occupation authorities against Islamic and Christian landmarks and the inhabitants of the Holy City, for the purpose of altering its character and identity; in this regard, we express our great appreciation for the efforts of His Majesty Mohammed VI, King of Morocco and the Chairman of OIC Al-Quds Committee and Bayt Mal Qods Asharif Agency aiming at preserving the legal status of Al-Quds, its civilizational character and its spiritual landmarks, and supporting the resistance of the inhabitants of al-Quds Al-sharif. 5. Commend Jordan’s efforts, led by His Majesty King Abdullah II, to sponser the Islamic sanctities and endowments in Al Quds. 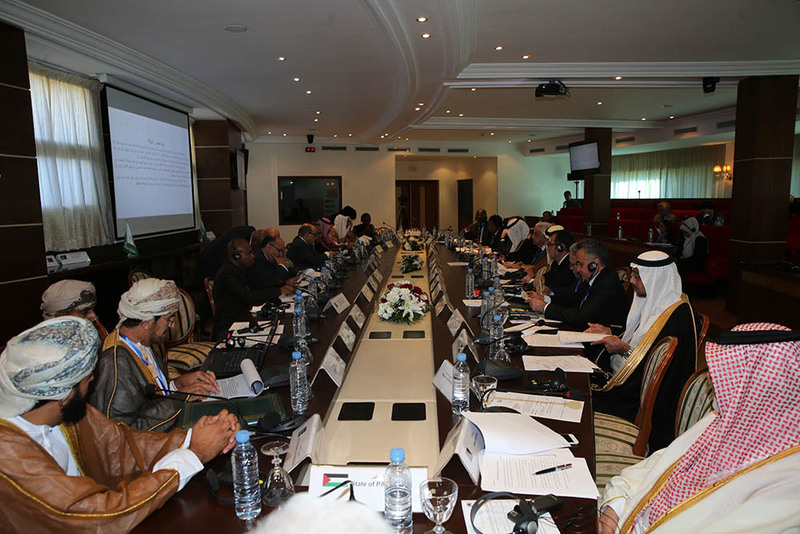 Confirm the Hashemite mandate thereon which has been decided by several Muslim and Arab Conferences. 6. We renew our rejection of extremist thought and condemnation of terrorism which targets several Islamic and non-Islamic countries. We call for a head-on confrontation of its roots and causes and intensified cooperation among the members of the International Community to achieve that aim. In this respect, we demand taking action to counter extremist and bigoted discourses, whatever their sources and origin, rejecting the establishment of any links between terrorism and Islam and Muslims, and the exploitation of terror claims in campaigns against Islam and Islamic Civilization. 7. We call for the resolution of conflicts in certain regions of the Islamic World, by dints of dialogue, negotiation, and peaceful means. We emphasize the necessity of sparing civilians the consequences of these conflicts, providing them with the requisite protection, and guaranteeing their moral and material rights to safety, security, social services, and all the necessaries of dignified life. We reaffirm our rejection of civilian hostage-taking, arrest, detention, and their use as a means to exercise pressure in conflicts. In this regard, we stress the importance of the role of conflict prevention in sparing the Islamic world the prospect of new tensions. We further call for inclination towards peace in settling differences, securing borders between Islamic and building the bridges of cooperation, exchange, and optimized economic integration among Islamic countries which are required to enhance trade, to promote human exchanges, and to foster service flows. 8. Being fully aware of the critical conditions that our countries are going through, and regardless of the differences in our assessment of these conditions, we are required –in the process of handling differences, conflicts, and crises to exercise wisdom, rationality, the logic of shared interest, and our own people’s vested interests in stability, security, development, and prosperity. We are equally required to stop wealth being squandered and political time being wasted in wars and conflicts—at a time when we possess all the potentialities and the essentials for a new renaissance. 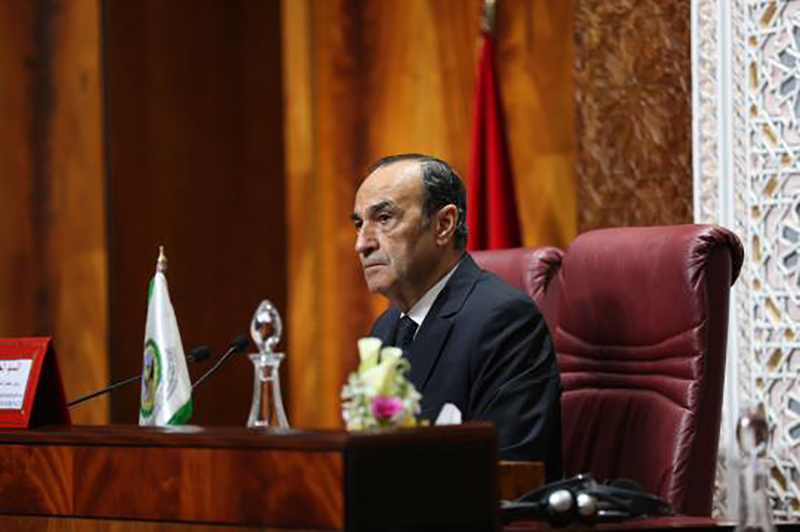 Given that our True Islamic religion calls for tolerance, co-existence, and dialogue in any interaction with the Other, we, by virtue of being the representatives of the legislative branches in our respective countries, and in view of the standing our institutions enjoy, we express our firm intention to enhance this approach and to foster dialogue with the representatives of the other revealed faiths and other civilizations, such as would guarantee co-existence, stability, peace, and security. 9. In relation to the foregoing, we re-emphasize the dire need and the political and strategic necessity to respect the territorial and national integrity of states, to preserve their stability, and to abstain from any kind of interference with their domestic affairs. We also reaffirm our compliance with this central principle in international relations. 10. We underline our adherence to the genuine international efforts being expended in order to protect the environment and to face up to the disastrous consequences of climatic disturbances on man, the earth, and the future of humanity itself. We also call for a quick and effective implementation of the Conference of the Parties (COP) in the UN Conventions on Climatic Changes, notably the Conference of Paris and the Conference of Marrakech. In this respect, we, in particular, stress the importance of supporting Islamic African countries which are widely and adversely impacted on by climatic disturbances. 11. We affirm the responsibility of host countries and countries of origin in protecting Muslim expatriate communities living in non-Islamic countries. We reject Islam-phobia inducing discourse and all racist discourses and practices which target these communities. 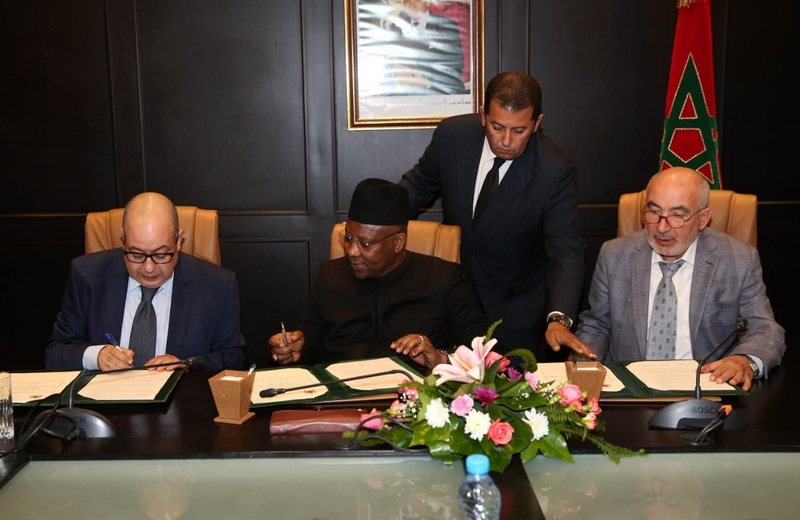 We also highlight the contributions made by these Muslim expatriate communities in the development and growth of their countries of residence and countries of origin. 13. Recalling the consequences of armed disputes including refugees, mass displacement, forcible migration within a country and across borders, we emphasize the need to guarantee the dignity and rights of refugees and migrants in conflict-ridden zones and to guarantee their access to basic services, in particular, education and health-care for young people, bearing in mind that the objective remains to work toward the return of these people to their homelands in a peaceful manner. 14. 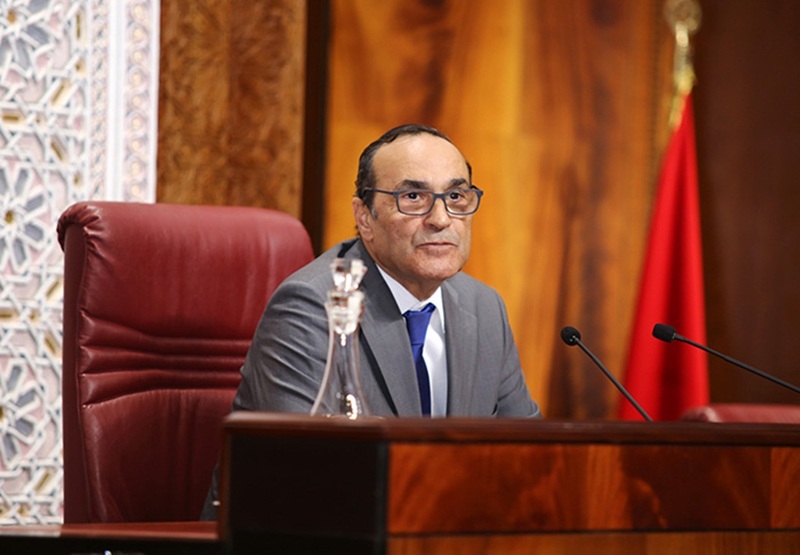 We renew our deep thanks to His Majesty King Mohammed VI, King of Morocco, for his High Patronage of our 14th Conference and our appreciation to the Moroccan Parliament for the good conditions made available for its works and for the care and welcome that was bestowed upon us in the Kingdom of Morocco.